Share the holiday spirit with 24 vintage greeting cards brimming with nostalgic charm. 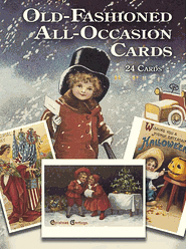 Suitable for every season, these antique cards feature holidays such as Christmas, New Year’s, Valentine’s Day, Easter, Independence Day, Halloween, plus other occasions. 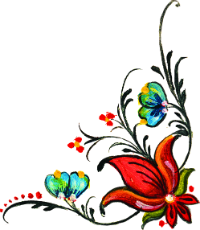 Beautifully reproduced from rare, turn-of-the-twentieth-century originals, they make lovely gift cards as well as distinctive greetings. They’re also great for scrapbooking and craft use. Dover Original.